I had to make a sympathy card last week and as I'm always in a hurry, I decided to use a stencil. When I found the stencil I wanted to use, it reminded my of my friend Michelle Lupton. 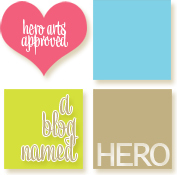 We bought some Hero Arts stencils together a while back and she gifted me a stencil. 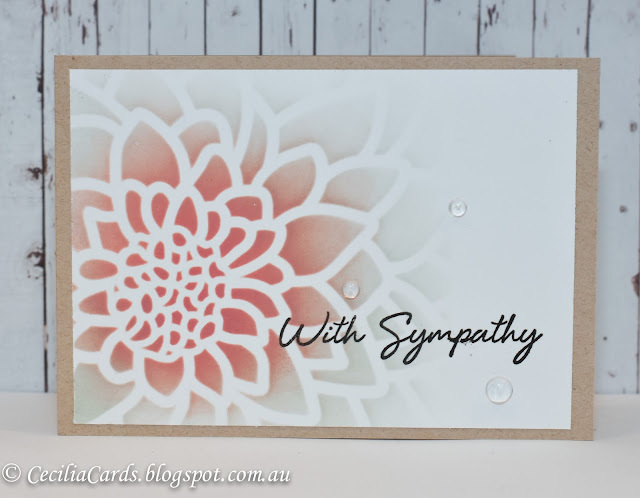 I decided to use my newly acquired Distress Oxide Inks for this card with Michelle's CAS designs in mind. After making one, I decided to make another the following night with different colours. 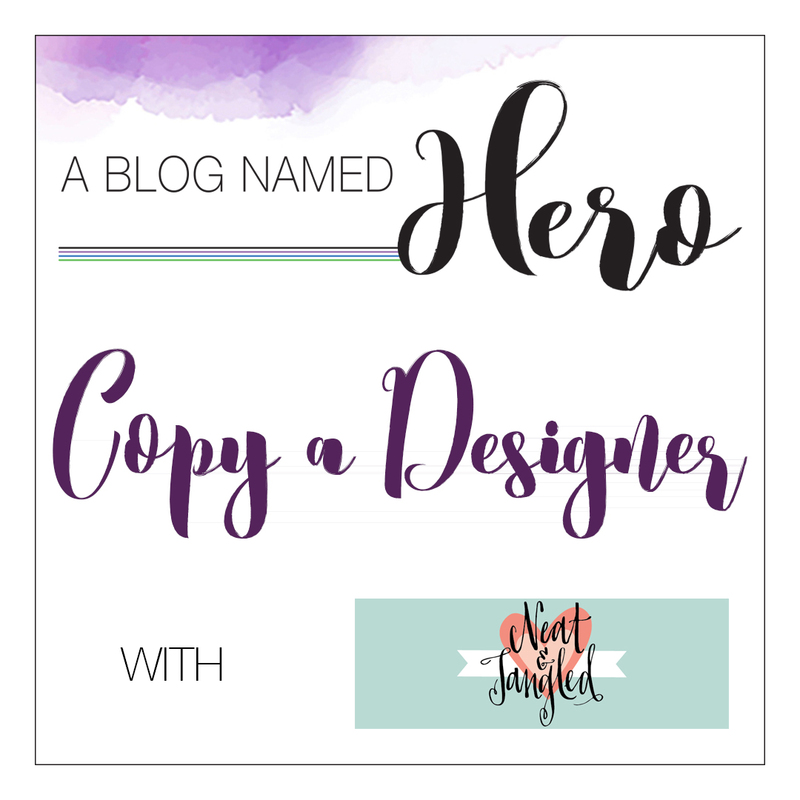 I'm adding this to A Blog Named Hero's Copy a Designer Challenge. Thanks for dropping by. 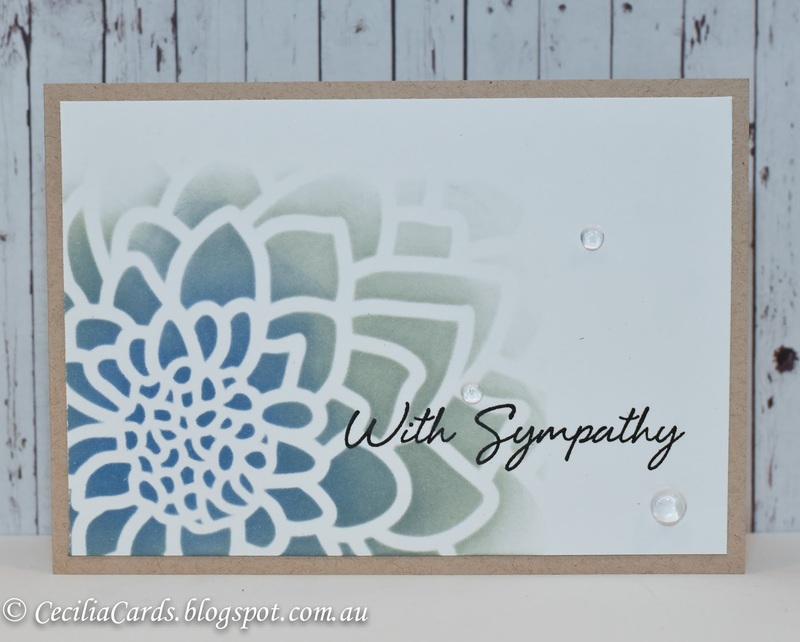 Beautiful sympathy cards. 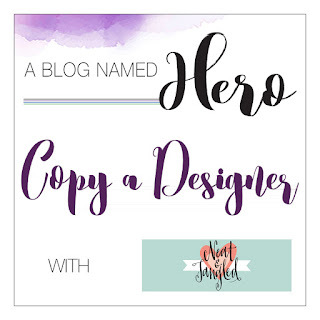 Thanks for playing along with us at A Blog Named Hero.